Delegates to the NUS conference have voted to replace current president Malia Bouattia with challenger Shakira Martin. Bouattia's year at the top of the national student union has seen her face numerous accusations of antisemitism. Last year, a group of MPs described her words as "outright racist", when she called the University of Birmingham a "Zionist Outpost" and criticised "Zionist-led media". Martin won with a majority of 130 votes, gaining 402 compared to Bouattia's 272. Tom Harwood won 35 votes, while 8 voted to re-open nominations. 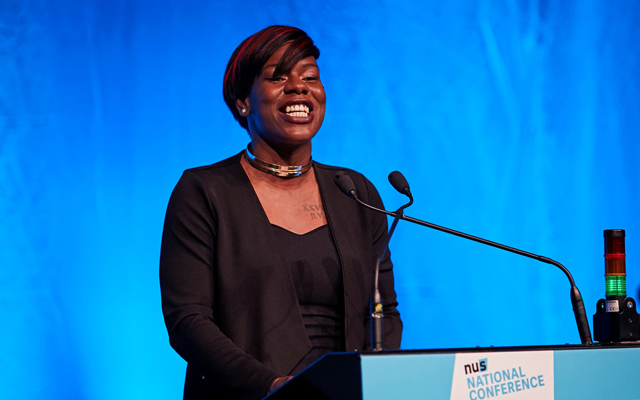 “I am honoured and humbled to have been elected as NUS’ National President. I take this as a vote of trust that our members believe I can lead our national movement to be the fighting and campaigning organisation we need it to be, representing the breadth of our diverse membership.